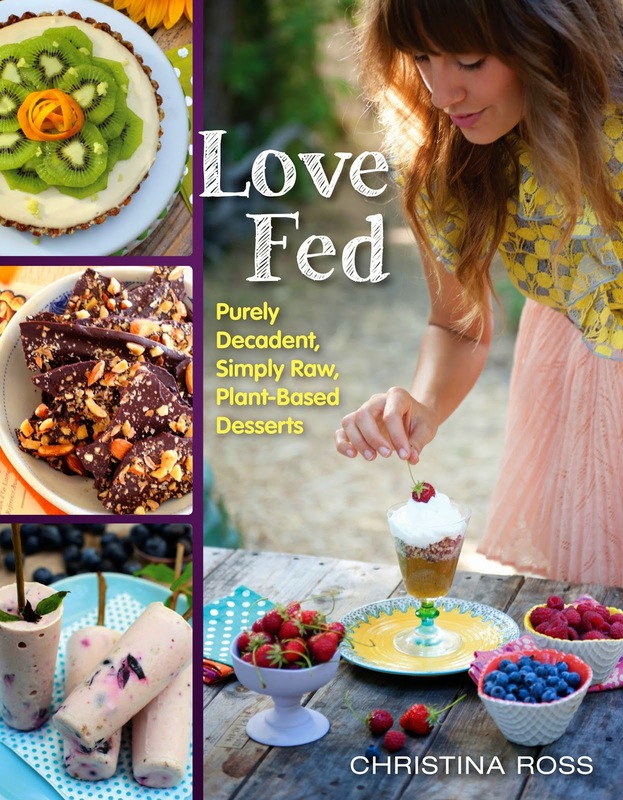 I am very excited to be a part of the Love Fed Blog Tour by reviewing, Love Fed (Purely Decadent, Simply Raw, Plant-Based Desserts) by Christina Ross and published by BenBella Books. Check out the links above for more exciting reviews and recipes during this awesome tour. Love Fed is a beautifully illustrated book that can help you achieve better health. Christina has eliminated harmful sugars and refined ingredients to all her recipes. I love that they are also raw and full of flavor. Raw food is more "alive" and retains its enzymes, hormones, vitamins and minerals, that otherwise might be lost. Many dessert books claim to be healthy, but what you are really getting is high fat, sugar loaded dessert bombs. Not so with Love Fed! Christina's book has 80 delicious, easy recipes, without a touch of gluten, dairy, or refined sweeteners. Very little sweetener is added to her recipes. At first you may even think they need more sugar, but they don't. It is just your taste buds that are use to very sweet treats. Sugar is an addiction that contributes to a huge collection of health problems. These health conditions are easily eliminated by just reducing or eliminating most of your sugar intake. A great goal to add to your New Years resolutions (2015) is to eliminate these harmful sugars. Clean out your pantry and start today!! A book like Love Fed can help all of us still enjoy treats, but achieve this goal. Parfaits provide a lot of payoff for very little effort—in 15 minutes you can have a beautiful, deliciously creamy dessert. This parfait is notable for the raw vegan cream cheese frosting on top. It’s wonderful spread on cakes and cupcakes, too. If you like a sweeter frosting, feel free to add 2 tbsp. of your favorite sweetener. 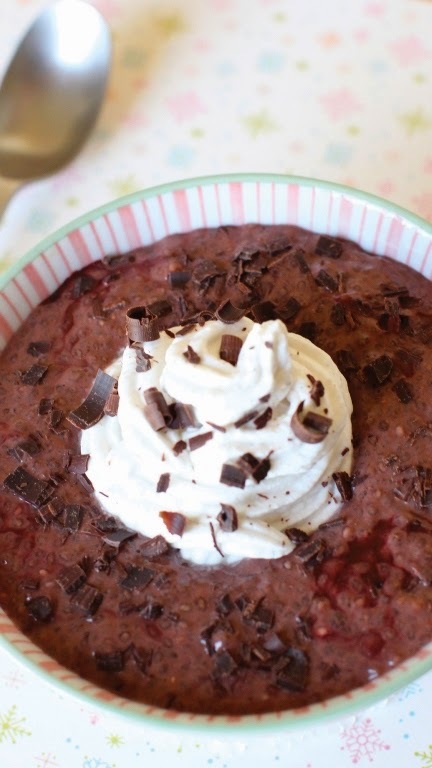 To make the parfait base: Combine the chia seeds, cacao powder, almond milk, beet juice, coconut nectar, and vanilla bean powder in a medium bowl and whisk until well incorporated. Let the mixture sit for 10 minutes to thicken. Make the frosting. To make the frosting: Place the melted coconut oil, coconut cream, lemon juice, and vanilla extract in the bowl of an electric mixer or a large bowl. Beat on medium speed or whisk by hand until the mixture is whipped and well incorporated. Don’t overmix or the frosting will be runny. 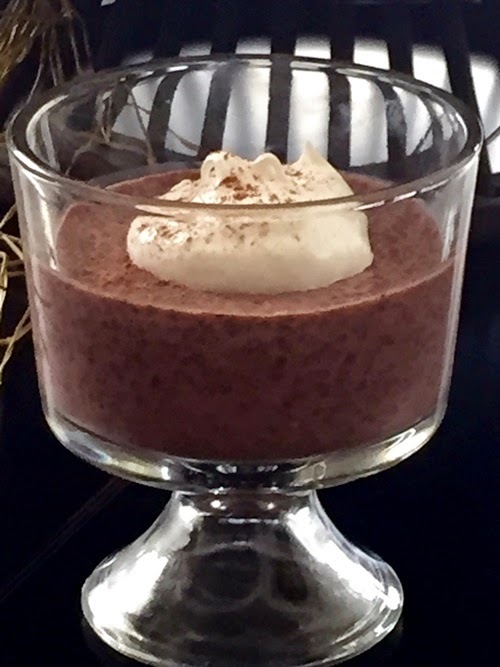 To assemble: Divide the chia mixture among 4 parfait glasses or bowls. Place a frosting bag (or plastic bag) inside a glass, allowing the top of the bag to fold over the outside of the glass. This will allow you to scoop frosting into the bag without the risk of it leaking. Fill the bag with the frosting, then squeeze a dollop into each parfait glass on top of the chia mixture. Add the garnish and serve immediately, or store in the refrigerator for up to 3 days. This looks so decadent, I can't believe it's completely raw. I can't wait to try out this recipe. Very interesting recipe. Lots of thank from my site. To get more Information and advice on health- Click here. Love all the tips you’ve listed. Very helpful.Very helpful. I’m just starting out and it’s cool to know there are some people out there who dedicate time to giving such helpful tips. Biggest tips here i got in this web site and is being more comfortable thinking power. This article will be better for all who are wanted this type of content, normally i can say i have become more benefited by read out this content. Thanks for all content.